It was a very productive and dynamic year for MOMook team. A significant number of new clients all over the world chose MOMook for their aviation training management. Moreover, throughout the year, our IT professionals managed to update many functionalities of MOMook and even launch new products. Let’s take a closer look at the activities of 2016 dedicated to help aviation training centers grow and work in a smart yet simple way. Initially, we are proud that MOMook is chosen as intelligent software by new clients from many different countries – Latvia, Greece, Tunisia, Indonesia, etc. For instance, the client from Germany – GroupEAD, previously had managed all recurring tasks manually. With the innovative IT software they were able to save human resources and avoid human error. Moreover, the company received additional development based on their specific needs. Custom-made functionalities enabled GroupEAD to reach higher efficiency and save costs. However, it was particularly pleasing to extend our partnership for another two years with MOMook first client – SIM4U. Also, several new features, based on the client’s requirements were added. These encompassed print and user import options. The flexibility of MOMook software allowed SIM4U to increase output in their daily processes. In general, the base of new clients has significantly extended and companies managed to make their aviation training processes innovative, cost-effective and modern. However, it is also worth overviewing all the updates and new functionalities launched by MOMook team in the year of 2016. One of the most recent update was launched to increase organizational effectiveness and allow employees to perform certain tasks themselves. The new functionality encompasses building forms directly on the software instead of sending a request to MOMook team. Additionally, in the year of 2016 MOMook team managed to update the software by implementing integration with calendars of Microsoft Outlook, and Google Gmail. This software integration benefits companies by making the processes much simpler. However, the year brought two more additional functionalities like a scheduling module with filtering capabilities and granting permissions to MOMook’s third-party users. Generally, all updates were launched to drive client’s results and allow companies to grow in a smart and cost-effective way. Moreover, we are glad that after a lot of hard work, the full-flight simulator terminal was brought to light in the year of 2016. This smart technological solution enables engineers, flight instructors, training managers and CEOs to operate more efficiently, be modern and save time. We are also proud that the new flight tracker, offering an internal battery and a higher refresh rate, was introduced in order to completely fulfil clients’ requirements. An easy to use and user-friendlier flight tracker reflects our goal to be flexible and offer the best possible solution. 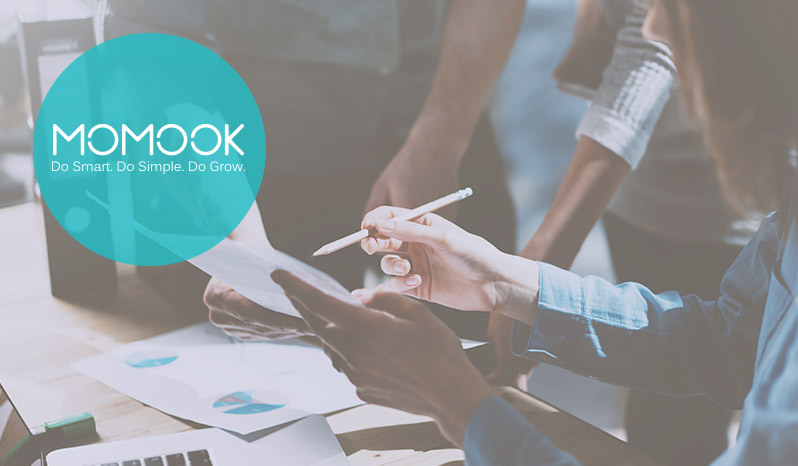 Altogether, throughout the year, MOMook team passionately devoted a lot of energy and time to help companies reach their competitive advantage and work in a smart way. We are ready to deliver even more in 2017 and offer the best technological solutions for aviation training centers all over the world!